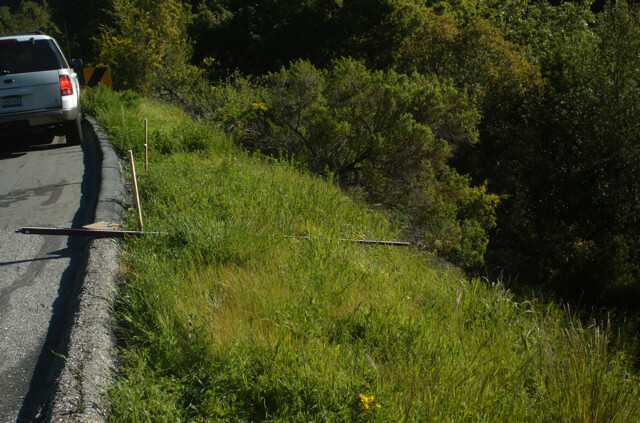 Stakes and measuring stick in 2009 used to measure 9' distance from road to edge of slide. 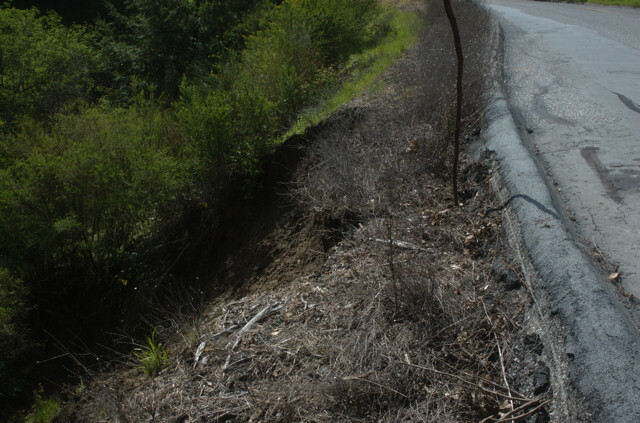 Top of landslide in March 2011 only 3 feet from road's edge. 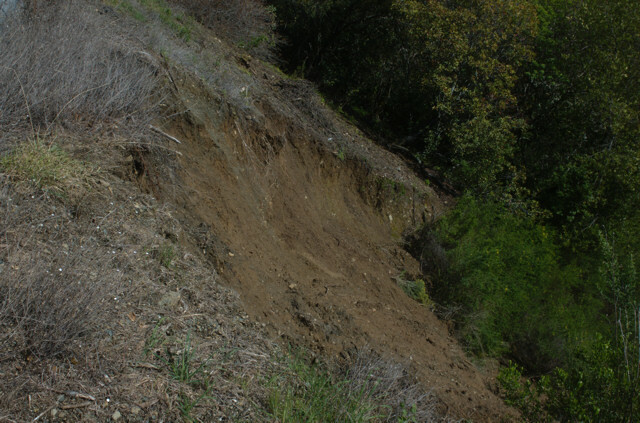 Another view of Ramona landslide in March 2011.